BY USING THE GRAYS SHOPPING CENTRE WEBSITE, YOU AGREE TO THESE TERMS WHICH WILL BIND YOU. IF YOU DO NOT AGREE TO THESE TERMS, DO NOT USE THE WEBSITE. We are Grays Shopping Centre, Crown Road, Grays, RM17 6QE. Support. If you want to learn more about the website or have any problems using them please take a look at our support resources at www.graysshoppingcentre.co.uk. not use the Site in a way that could damage, disable, overburden, impair or compromise our systems or security or interfere with other users; and* not collect or harvest any information or data from any Service or our systems or attempt to decipher any transmissions to or from the servers running any Service. Acknowledge that Grays Shopping Centre reserves the right to monitor any and all communications made to us or using our Site. 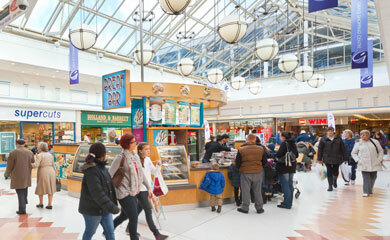 To the maximum extent permitted by law, Grays Shopping Centre accepts no liability for any direct or indirect loss or damage, foreseeable or otherwise, including any indirect, consequential, special or exemplary damages arising from the use of the Site or any information contained therein. Users should be aware that they use the Site and its Content at their own risk. These terms and conditions and the relationship between you and Grays Shopping Centre shall be governed by and construed in accordance with the Law of England and Wales. Grays Shopping Centre and you agree to submit to the exclusive jurisdiction of the Courts of England and Wales.